Since we have had the boys, we spend months before their birthdays trying to figure out several items. In addition to who we invite, when to have the party, there is another big decision. We need to figure out what theme to use for the party each year. In the past, NHL has had: Bear in the Big Blue House (1st), Finding Nemo (2nd), Madagasgar (3rd), Curious George (4th), Dinosaurs (5th). 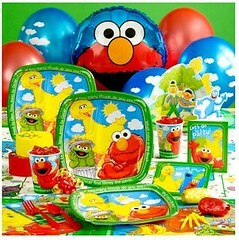 For JSL’s first birthday we did the Sesame Street 1st birthday partyware. We had a hard time finding places that carried it. After the fact, several of my friends suggested ordering from Birthday Express. 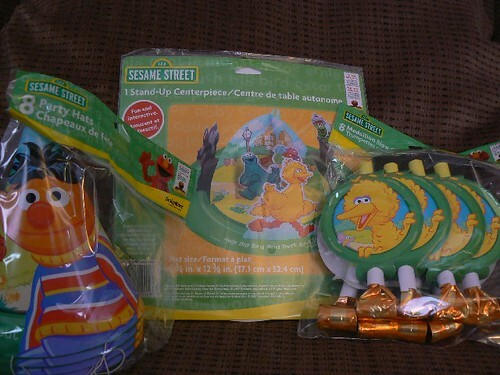 Recently I had the opportunity to purchase some items from Birthday Express. JL and I decided to buy something for JSL’s upcoming second birthday. When you go to the Birthday Express website you can browse by male/female party supples, party theme, or view all. JL and I wanted to see all of the options for boys, so we selected that. There were 85 options to look at. We immediately fell in love with two. 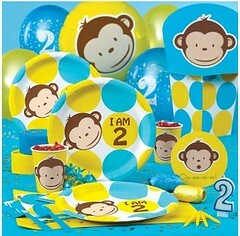 We loved the exclusive Mod Monkey 2nd Birthday as well as the Sesame Street Sunny Days. We eventually selected the Sesame Street Sunny Days theme. JSL is really attached to Cookie Monster and friends these days. He often asks to see "Street" and wants to read his "Street" books all the time. Next, we had to make the decision on what to order. Immediately, my eyes fell onto the personalized banners that was made out a heavy duty vinyl (like shades for the windows) and was 61"x18". 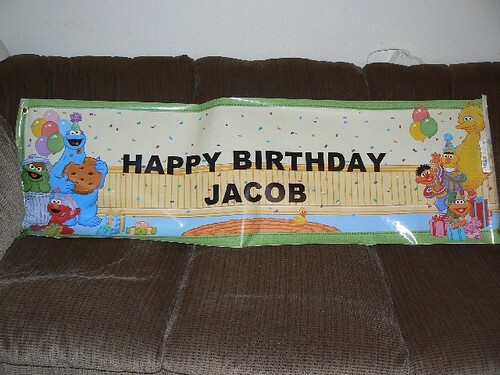 The cost was only $14.99 and we could put a custom message on it for no additional charge.I fell in love with one that had most of the Sesame Street Characters on it. In addition to that, we purchased a centerpiece, some party blowers and hats. Since we will be at Disney for his actual birthday, these will not be used for a few more weeks when we have some family over for a little gathering (photos to follow later). The website was extremely user friendly and easy to follow. This is not always the case with personalized item ordering. Four days after my order was placed, everything except the personalized banner arrived. 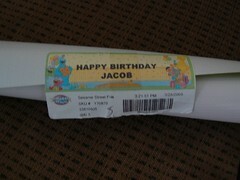 Two days later, the banner arrived on my doorstep in a hard tube that helped it to stay safe during shipping. As you will see it is very thick and comes with a label on the outside to preview what you will unroll. When we unrolled the banner it is as wide as our couch. The quality is absolutely amazing. My little guy is going to love this on his birthday and beyond when we hang it up in his room. Thanks to the great selection, quick shipping, and easy ordering we will definitely be ordering from Birthday Express again. In fact, in the next few weeks we will probaby ask NHL what he would like to have for his 6th birthday theme this summer. That banner is so much fun! I’m supposed to design and send out birthday party invites today or tomorrow, but I don’t know if it’s going to happen!